Sometimes, you meet an unexpected hardship at the very moment you thought the worst was behind you. 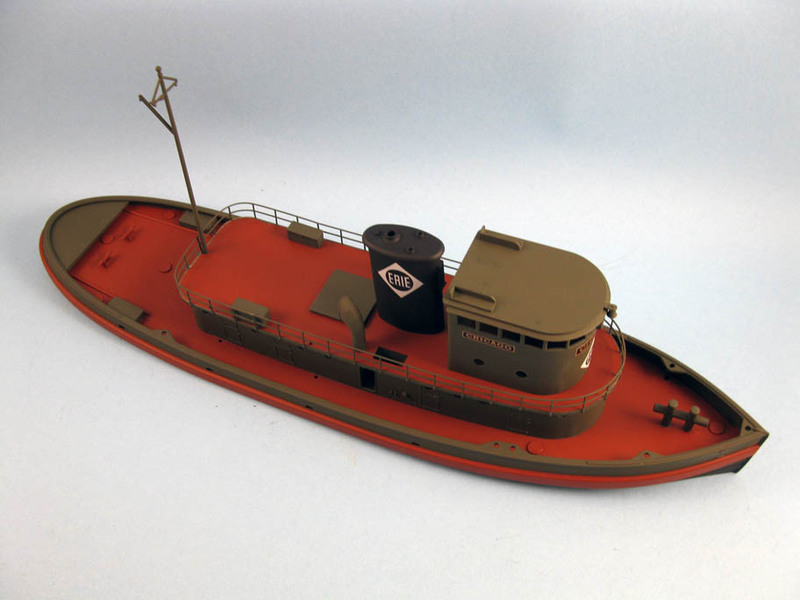 When I started to build the Walthers tugboat kit, I was pretty sure painting and assembly would be where would lie my best efforts. So much for that foresight! The decals proved to be a big challenge. The decals provided with the kit are utter garbage and worthless. The decal film is thick as an acetate sheet which makes it impossible to stick decently to the model thus enabling a lot of air to be trapped. Rejoice! 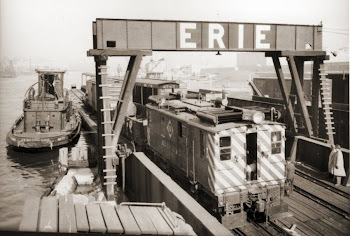 Except for the Erie logo, the ship name plate is too small and unprototypical and only one is provided while there were 3 of them on the wheel house. 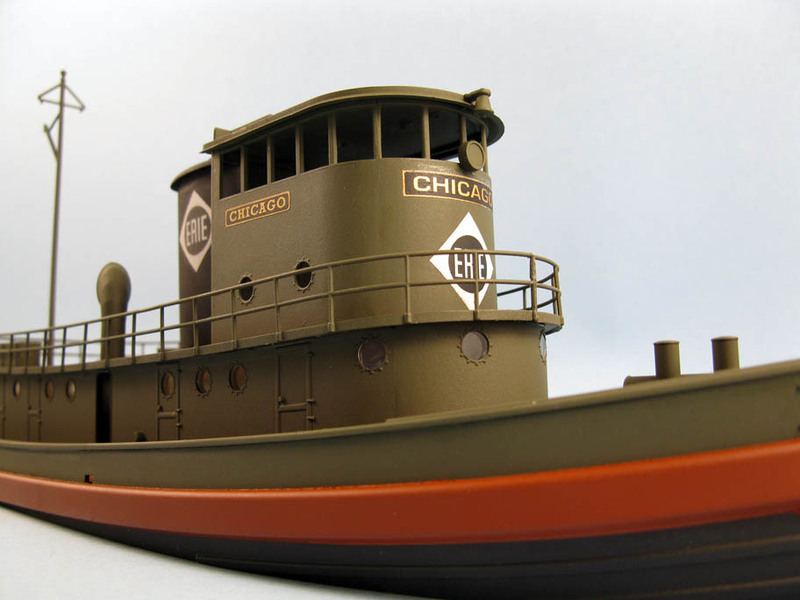 To make things worse, they didn’t provide the white ship name lettering painted on the hull (I need four of them). As you can expect, I was in a pinch. 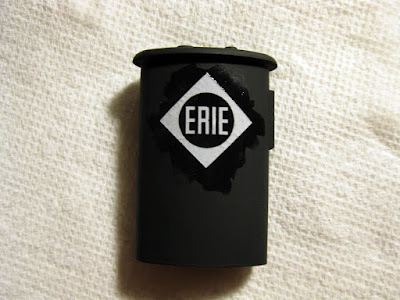 I decided to try my luck with the decals, but the results were extremely bad because the white decals are translucent. Imagine, it’s a brand new paint job and the logo is badly faded! 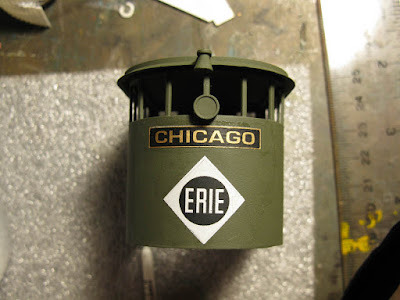 I had to remove the decal the hard way, sand the part and repaint. It was time to look for suitable decals. Unfortunately, Erie decals for tugboats don’t exist. I thought about using freight car decals but I was a little bit worried their size could be quite off, particularly on the wheel house were space is premium because I shortened it to represent a Harlem River tugboat. 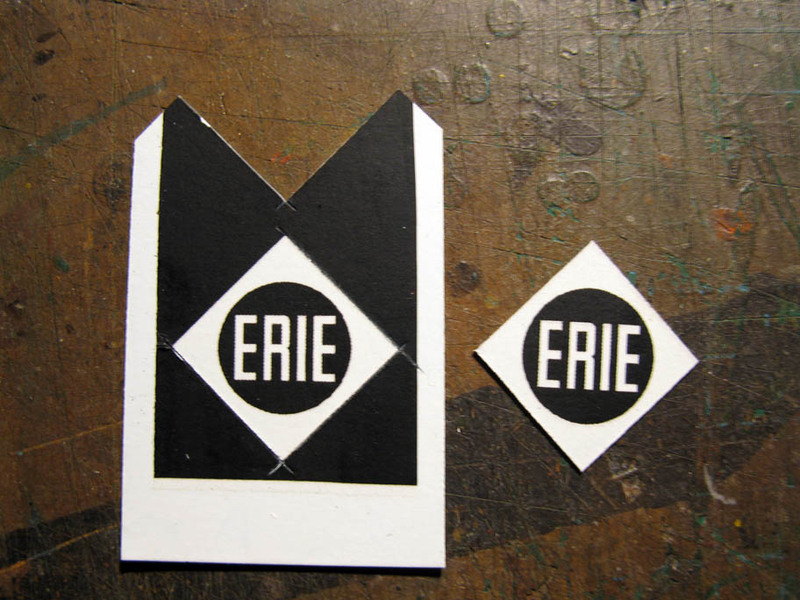 There was only one option: make my own decals. My printer can’t make white or brass-color decals. 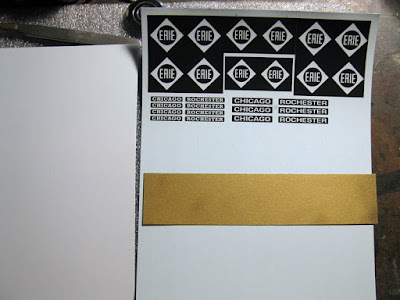 With some creativity, I decided to spray transparent decal sheets with white and gold paint. 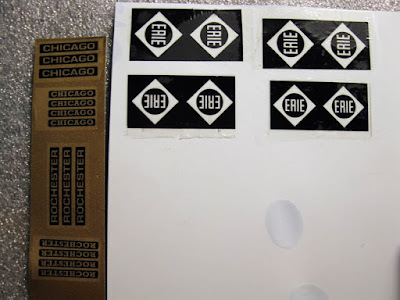 Then print black decals on another decal sheet. 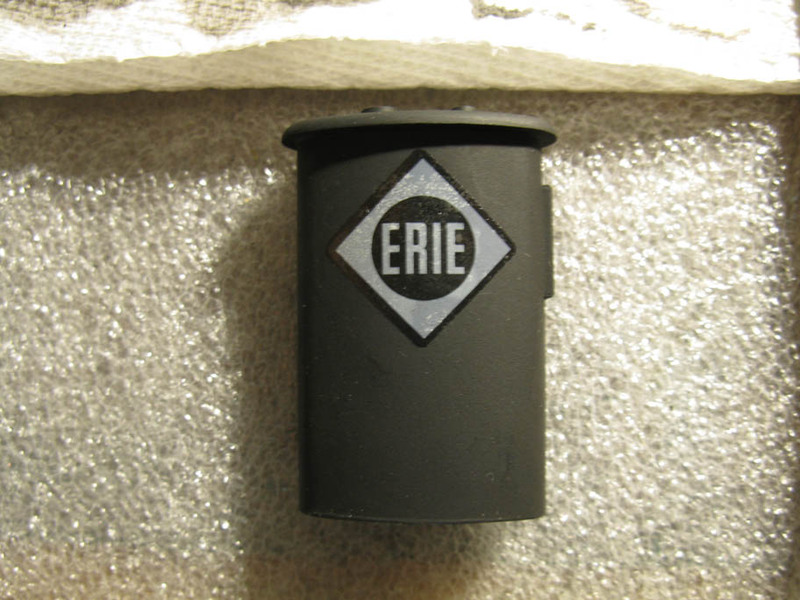 The next step was to merge the decals together by applying the black artwork on the coloured decal. As crazy as it may sound, it worked far better than I thought. 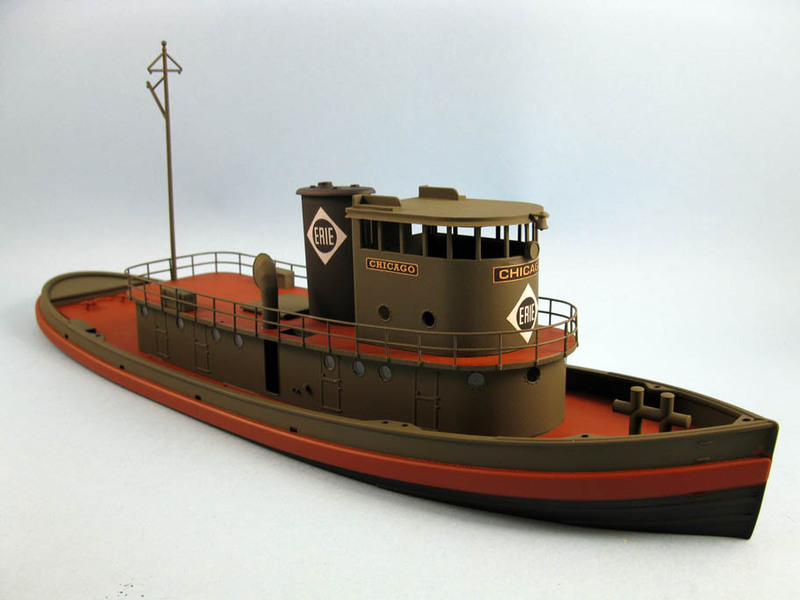 Sure, the decals are a little bit on the thick side (2 films + ink + paint + dullcote) but far less than the stock Walthers ones. 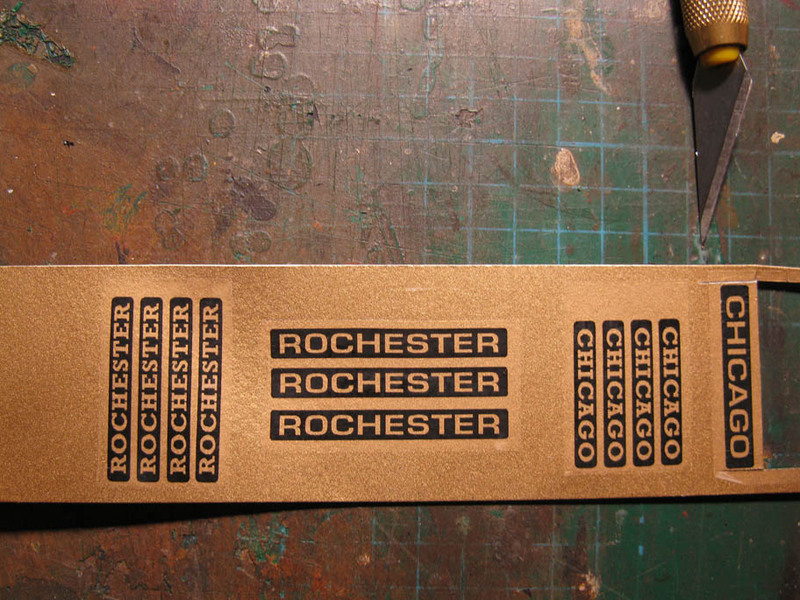 Three sheets of decal ready to be merged into a single one. Application was easy since the decals lay on flat surface devoid of rivets. 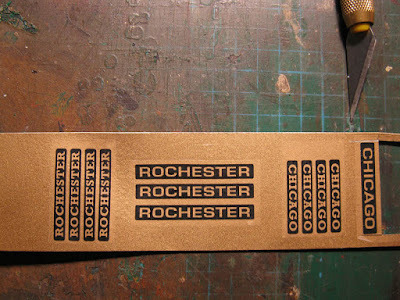 Now the model is correctly lettered according to prototype and I can move forward with the project. 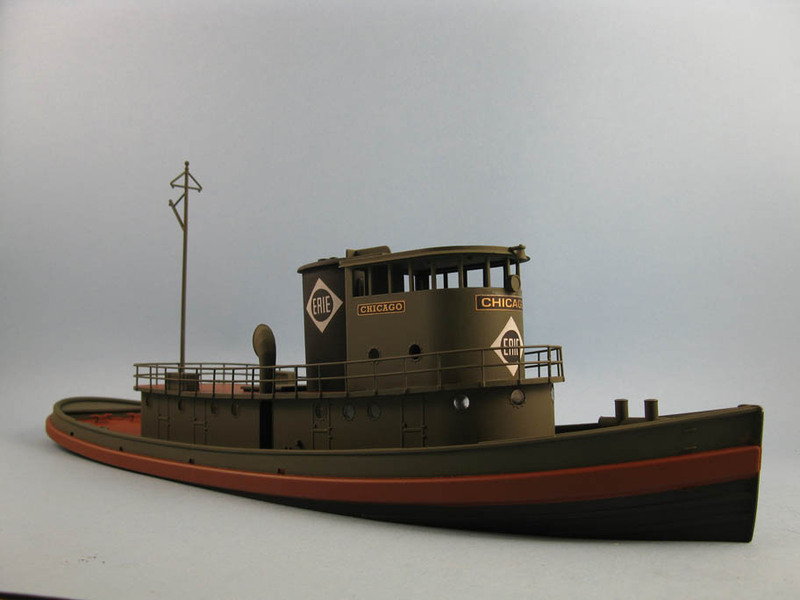 The next big challenge will be to print the white lettering on the hull… the letters are white on an olive green background. 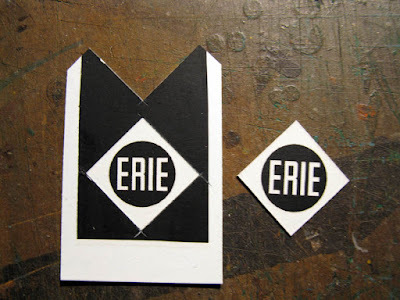 I could use a friends color printer and apply the decals on a white background like I did with my previous decals. Or I’ll simply print them black and white, paint by hand the black with olive paint and merge everything when doing the final weathering (which was particularly heavy on the hull).